Welcome to the W6SFM comments page. Please use the area below to make your comments on our Bug Roundup Event, or any other SFM ARC related event. signal hear as 5watts QRP as well. Thank you very much for reading my bad English. Thanks to Mike N6MQL who loaned me a Vibroplex original for my first participation in Bug Roundup. I made two contacts and thoroughly enjoyed using a bug again for the first time since 1976! This is the third year I have worked the BR, and always look fwd to it. 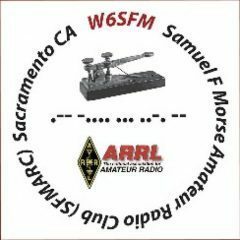 This year I QSOed 8 different stations during the BR, finally ending with W6SFM/5. I used four different bugs: K4VIZ, 1941 Vibroplex Original Dlx, 1928 Vibroplex Lightning Bug and a 1936 McElroy. I contacted these stations: AC5P, K6ZB, K5KV, AA5KV, WA5KMA, WB5ZOR, AC5JH and W6SFM/5. There was not a bad operator among the lot of them and I enjoyed this bug event. However, I do not wait until this event to use may bugs; I am “bugging” the ham bands every day, mostly on 40- and 80-M. Thanks for the event. K5OGX.